US distribution company Focus Features have boarded action film ‘Down To A Sunless Sea’, a script written by Irish screenwriter David Gleeson. Oscar-winner Morgan Freeman (‘Million Dollar Baby’) is currently attached to play one of the leads. Bruce Cohen and Revelations, Morgan Freeman and Lori McCreary’s company are producing the film. Speaking to IFTN about the deal, writer David Gleeson said: “We're thrilled that Focus Features has boarded ‘Down To A Sunless Sea’ and are honoured to work with Morgan Freeman who elevates every project to which he is attached. We feel we're in safe hands." 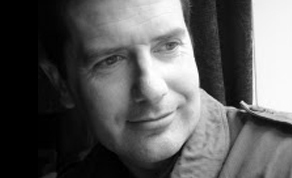 Gleeson is best known to Irish audiences for writing and directing critically acclaimed films such as ‘Cowboys & Angels’ and ‘The Front Line’, with the latter film garnering him two IFTA nominations for writer and director in 2007. Currently, Gleeson is one of the most active Irish screenwriters currently working in the US. Repped by CAA, in addition to his deal at Focus, David also has ‘The End of History’ at Sony, ‘Royal Chef’ and ‘Tolkien’ (aka ‘A Light in the Darkness’) at Fox Searchlight and he is also currently working on ‘Red Giant’, a sci-fi tentpole for 20th Century Fox, Mattel and Chernin Entertainment. David will return to helming duties next year with the supernatural thriller ‘Don’t Let Go’ which was written by ‘Boogaloo and Graham’ writer Ronan Blaney.